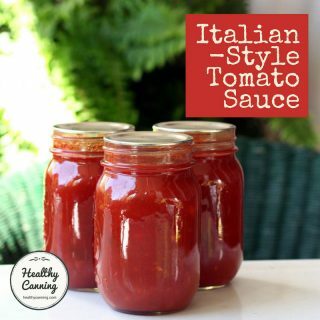 Delicious home-canned pizza sauce takes you one step closer to quick, affordable and healthy homemade pizzas. For a pizza base, you can buy a ready-made one at the store, or, make pizza dough for pennies in your bread machine. 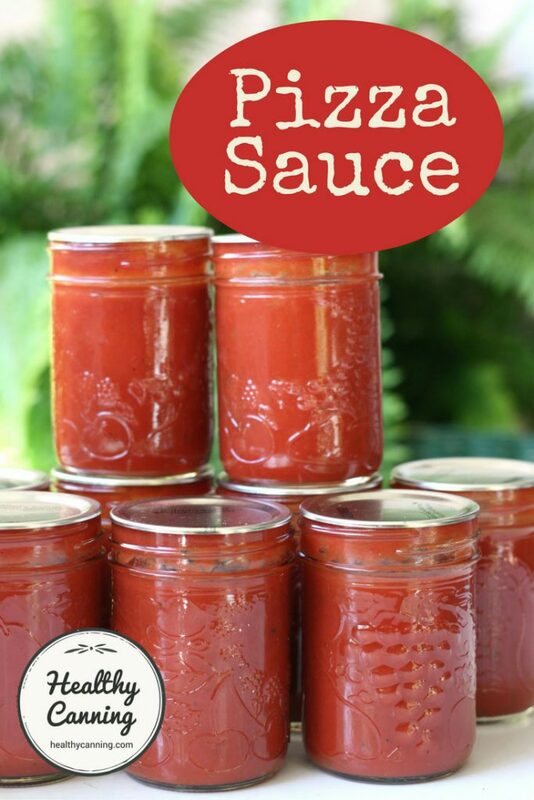 We chose to can this sauce in smallers jars, which more closely approximate the size of pizza sauce tins one would buy at the store. A quarter-litre (1/2 US pint) jar makes enough to very generously cover a 35 cm (14 inch) pizza base. 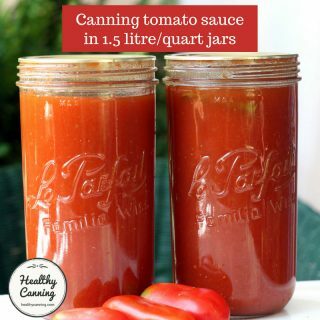 If you think you might ever make smaller or personal size pizzas, you may wish to consider canning some 125 (4 oz) jars for that use. If using fresh puréed tomato, make the purée as per directions in Recipe Notes. If using fresh puréed tomato, take that purée and put half in a large pot, bring to a rapid boil over high heat, stirring frequently. Add remaining purée a cup at a time, so that you don't lose the boil. 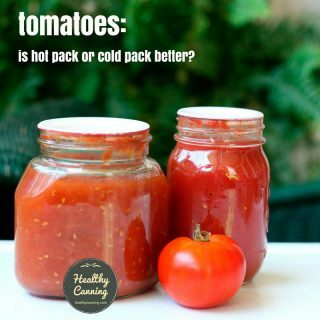 This is to help prevent separation of tomato solids and water. 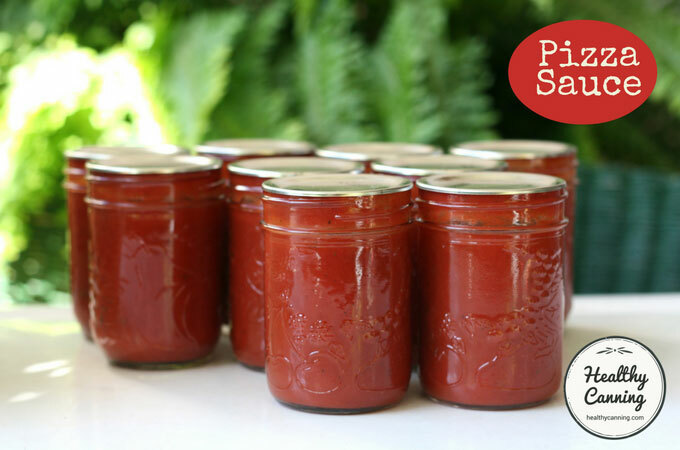 If using passata, just empty jars into in a large pot, bring to a boil. Regardless of your starting base, add all remaining ingredients to pot. If using fresh puréed tomato, boil hard uncovered stirring frequently, until you have the consistency of ketchup: 15 to 25 minutes. 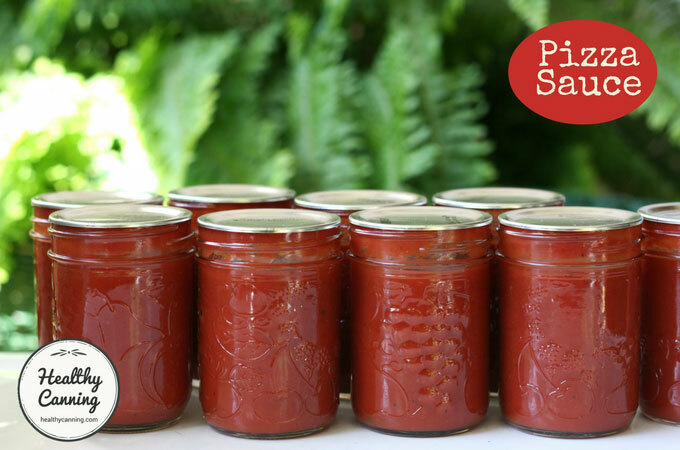 If using passata, simmer lively uncovered until you have the consistency of ketchup: about 10 minutes. Process jars for 35 minutes; increase time as needed for your altitude. 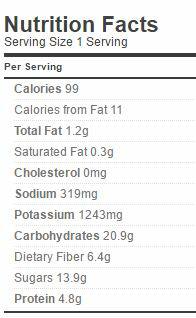 Making fresh puréed tomato: You’ll need 4 kg (9 lbs of tomato. 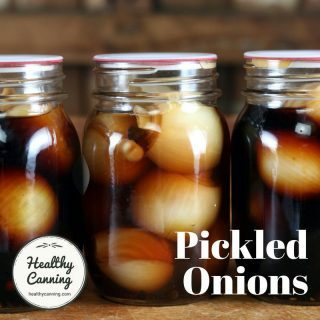 Wash them, and pass them through a food mill or strainer to remove the seeds, core, and peel. If you don’t have a food strainer or food mill, see here: Making tomato purée without a strainer or food mill. 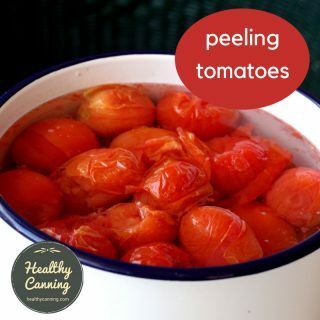 Yes, the recipe writers are counting on peeled tomato: most of the bacteria is on the tomato skin and they would have tested for that reduced bacterial level. 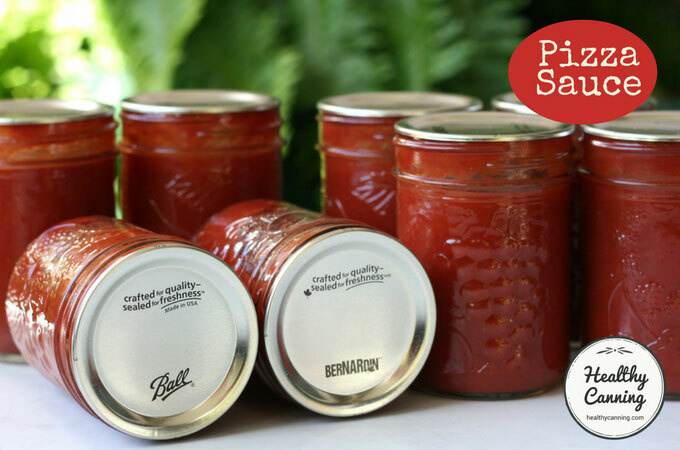 Tomato passata is pure puréed plum tomato in a jar. It’s how Italians in Italy start almost all their tomato sauces at home. 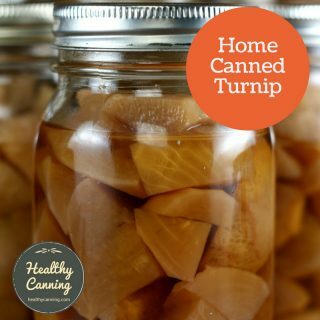 You must treat it as you would any tomato in canning recipes and acidify it, etc. See passata. Kingry, Judi and Lauren Devine. Ball / Bernardin Complete Book of Home Preserving. Toronto: Robert Rose. 2015. Page 366. Just made this pizza sauce tonight. I made 1/2 the recipe and the only thing it needed was 2 tbl of organic cane sugar to cut the sharp acid flavor (I left the skin and pulp/seeds in). 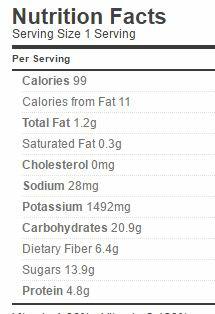 I got about 20 ounces from 6 1/2 cups of pureed tomatoes.